Soil: A protective barrier is applied to soil grade surfaces before the concrete foundation is poured, preventing termites from traveling through slab penetrations. These are much more cost effective than post construction treatments. Wood Treatment: This method actually treats the wood members after the home is in the “dry” stage of construction. Post Construction: We offer post construction treatments that provide a barrier from termite entrances. Our products make termites stop feeding as soon as the barrier has been penetrated. All post construction treatments should be inspected and a disclosure made before applications have started. Note: Our Company does not offer termite-baiting systems. 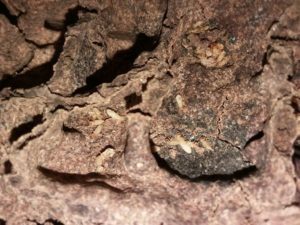 Real Estate Termite Inspections: Texas Official Wood Destroying Insect (WDI) Report: We offer inspections and reports that are needed for real estate transactions. This Official form is written and designed by the Texas Department of Agriculture. We offer a one year warranty on residential WDI reports. If a home is cleared and an active infestation is found within one year, Pest Patrol will perform a termite treatment at no charge.